For many people who are not members of our Church, “missionary work” means going to a far-flung land where, for instance, non-Christians can be taught about Christianity and where humanitarian aid work can be performed. So when they find out that our Church is doing “missionary work” right in their neighborhood, they may wonder why. 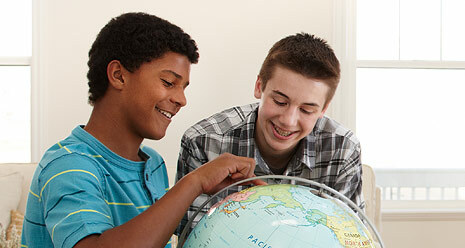 The message our missionaries share is for all the world, so we send them to all the world. We believe that the fulness of the gospel of Jesus Christ has been restored, including Christ’s Church and the priesthood authority necessary to perform ordinances, such as baptism. Only in this Church is the gospel fulness restored. Because all people need to hear this message, including those in places where there is a long tradition of Christianity, we send missionaries to all people.